AIRHAWK Seat Cushions are handcrafted, premium quality cushions that contain many small air pockets. 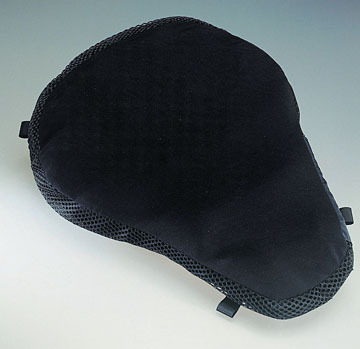 Based on technology used in the medical industry for wheelchairs, these air pockets distribute your weight evenly and act as mini shock absorbers. Ride longer and feel better in the end with an Airhawk. Get your AIRHAWK today: prices range from $194.99 - $219.99. We ship worldwide. Simply e-mail or call us with your order. 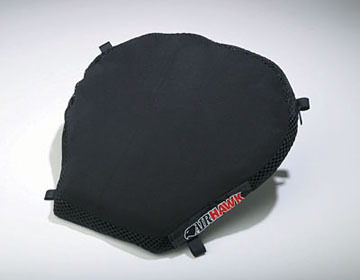 AIRHAWK Motorcycle Seat Cushions come in five different sizes (shown below). See the Fit Chart to determine which size is best for your motorcycle.